Have I convinced you to use twitter yet? Probably not, but all the contests and giveaways that can be found on twitter might make it hard to pass up. 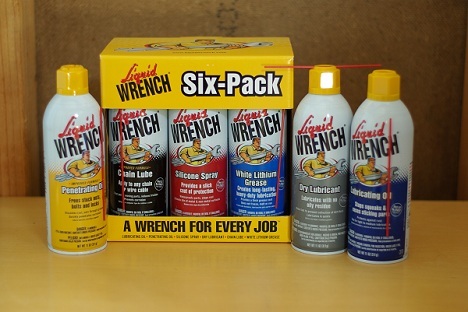 Just recently I won a 6 pack of Liquid Wrench sprays by answering a simple question during one of the Liquid Wrench giveaways, and in my last post I talked about the contest Craftsman is running. Liquid Wrench, like a number of other companies, has turned to Twitter to help get free/cheap advertising. One of the easiest ways to get your name out there is by running a simple contest and using peoples own tweets to spread the word. Right now, it seems Liquid Wrench is running the trivia contest once a day, and the chances of winning are pretty good. I am not saying you have to use Twitter everyday, or even at all, but it is at least worth it to sign up so you can participate in the free giveaways.